Pacific dining set There are 11 products. 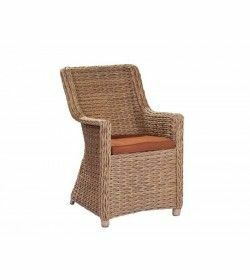 The Pacific dining chair for outdoor is made out of synthetic water hyacinth weave with 9mm diameter, it is the latest in conservatory furniture. A sturdy stylish dining chair. Set comedor de 1.8m ovalada Pacific y 8 sillones Incluye una mesa de 1.8m de largo con 8 sillones y cristal templado. El Set esta fabricado con entrelazado synthetic water sintetico de 9mm diametro. Set comedor de 2.5m ovalada Pacific y 8 sillones Incluye una mesa de 2.5m de largo con 8 sillones y cristal templado. El Set esta fabricado en un entrelazado synthetic water sintetico de 9mm diametro. Pacific dining set includes a 2m reclaimed teak chunky table in a stunning white wash finish with 6 pacific dining chairs in synthetic water hyacinth 9mm dia weave. Includes 1.8m dia table with 8 pacific dining chairs. The set is made with synthetic water hyacinth 9mm dia weave, is a very robust and stylish dining set.